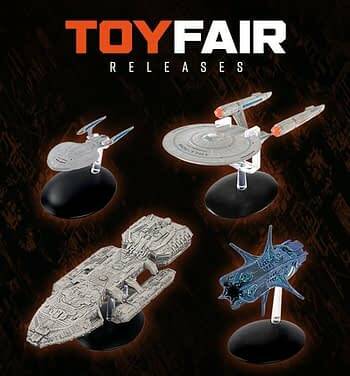 In celebration of this weekend’s New York Toy Fair being held at the Javit’s Center, Eaglemoss has announced a new round of figure and spaceships available for pre-order from their website. Ranging from the classic era of Star Trek films to their latest series, and from the Wizarding World of Harry Potter to Battlestar Galactica, they continue to feed into the increasing fandom trend of high-grade statue collecting. In the Star Trek line, we have to remember back to the very first feature film, Star Trek: The Motion Picture. The antagonist of the film was V’ger, the gigantic craft which aliens had built to house Voyager-6 and help it complete its mission to “learn all that is learnable.” This particular ship was so large that the audience never did get a clear view of the whole thing in a single shot. Here it is, and it has a certain resemblance to the alien craft from The Abyss if you ask me (in a good way). 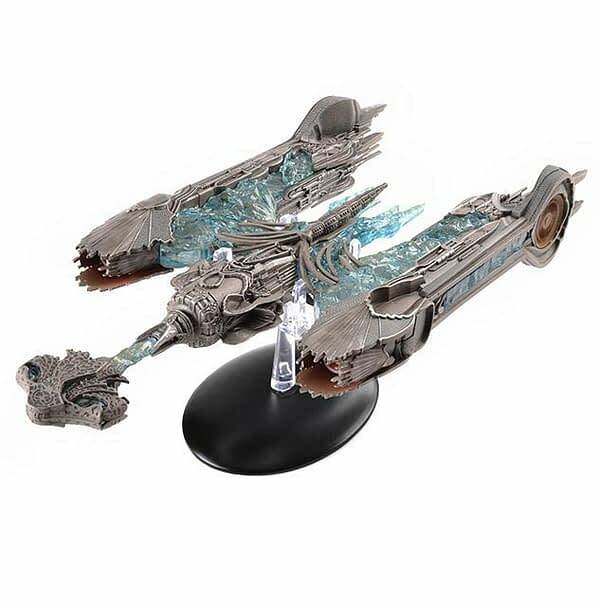 V’ger will begin shipping in March. 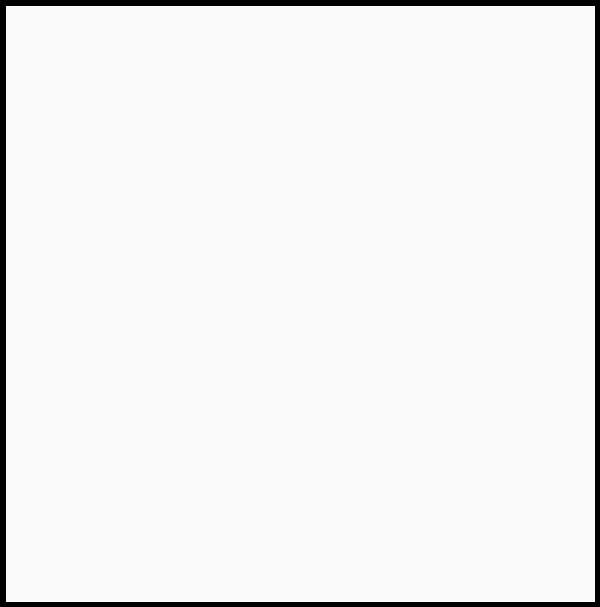 Jumping from 1979 forward nearly 40 years, is Star Trek at the other extreme of it’s timeline, although not so far apart in the series internal timeline. We have a pair of ships from Star Trek: Discovery. First the classic ship herself, The U.S.S. 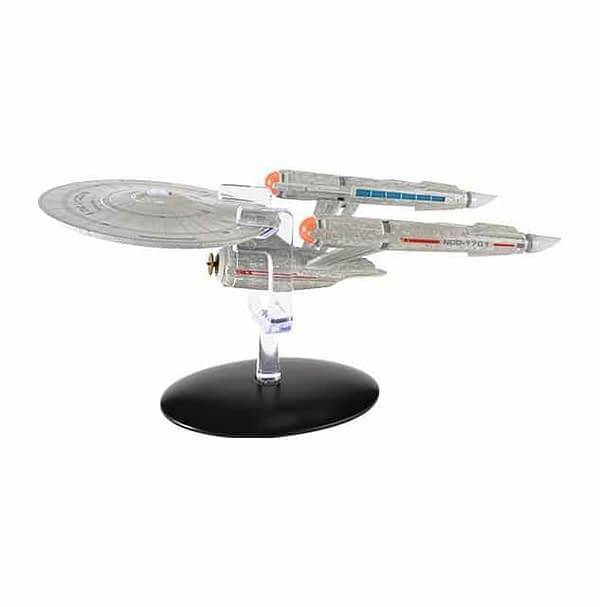 Enterprise NCC-1701 (not A, B, C, D, or any other letter, and definitely not the JJ-‘prise). This Enterprise is very close to the ship everyone knows from The Original Series, although with a modern level of detailing. Clocking in at 8.5″ long, she’s a beauty in any fleet. 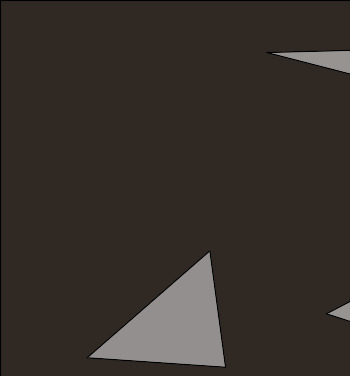 Also in the Discovery universe, they are presenting the flagship of the House of T’Kuvma, the Sarcophagus ship. Adored with the honored Klingon dead, the ship was a pivotal player in the breakout of the Federation-Empire war. 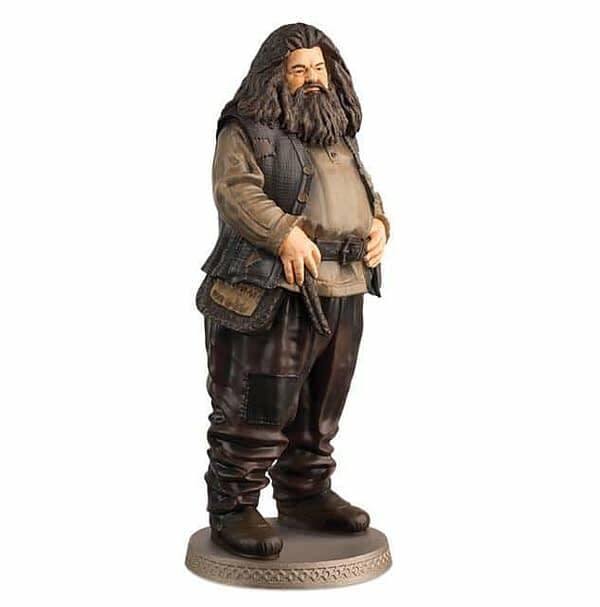 Jumping tracks to the world of Hogwarts and character statues, standing 7″ tall is everyone’s favorite half-giant teacher of Care of Magical Creatures, Rubeus Hagrid. This is a special edition release figure and will be shipping in March.